Today, I want to get into the nitty-gritty of biblical prophecy. And so I shall. But first, I think that if I took a poll of everyone here and asked you what your main question about biblical prophecy was, it would probably be “Are we living in the end times right now?” The answer to this question is . . . well, look at the Bible, history, and current events for yourself and then you decide. There have been many well-meaning teachers, pastors, and Bible students who have taught that in their generation the Second Coming of Christ would occur. I have no problem with these people – it is good and biblical to be vigilant. However, there are others that have erroneously predicted the actual day of His Second Coming. Steer clear of these people. These are the nut cases, the "lunatic fringes" and the biblically ignorant. The bible is crystal clear about setting dates. In Matthew 24:36 Jesus says, "… of that day and hour no one knows, not even the angels of heaven, nor the Son, but the Father only.” Still, there are people that continue in their vain attempt to be modern-day prophets. Edgar Whisenant sold 4.3 million copies of his book detailing why Christ would come in 1988. December 31, 1988, came and went and no Messiah. The next year he sold 30,000 copies of a book he wrote detailing why Christ would come in 1989. December 31, 1989, came and went and no Messiah. If you don’t get it the first time, try and try again, right? After missing it twice, the retired NASA engineer who lived in a one-room shack outside of Little Rock, Arkansas said he could, “Stand in front of the Lord and say I gave it my best shot.” It would have been far better for Whisenant to shoot for reading the bible first before making a nitwit of himself. Acts 1:6 is another text warning us not to set dates or times. The disciples asked Jesus after He was resurrected: "Lord, will you at this time restore the kingdom to Israel?" He said to them, "It is not for you to know times or seasons which the Father has fixed by his own authority.” (v.7). Did you hear that? Not even Jesus Christ Himself knows when the Father is sending Him. In the same way, for some reason that only God the Father knows Himself, He doesn’t even tell His only begotten Son when His time will be to return in glory to the earth. Don’t try to figure out why this is so. We have to be content with the fact that there are some things we will never know until we arrive in glory. But when that duty sergeant called and said to bring cold weather gear, he did give a hint as to where they were going. Our heavenly Father has done the same for us. Since we are all in God’s army, we must be prepared at all times for the inevitable. As certain as the prophets of old were that Jesus would come the first time – and He did. We are 5 times as sure that He will come the second time because the Second Coming is predicted 5 times as often as the First Coming. Let’s look at some of the hints that the Father has given us. Let’s focus for now on the latter portion of verse 4 where it says “Many shall run to and fro, and knowledge shall increase." Here is our 1st hint or sign of the times that the Second Coming is drawing ever closer. I believe that the phrase “Many shall run to and fro” is a clear reference to the ability of mankind to travel to any spot on the globe in a relatively short time. In the Hebrew, “run to and fro” means "to pass through a land.“ Not until the 20th century has mankind been able nor has he succeeded in traveling to or passing through every parcel of land on the earth. Roald Amundsen, the Norwegian polar explorer on December 14, 1911, reached the South Pole, becoming the first person known to have accomplished this feat. He and 2 other explorers, an American and Italian, were the first to cross the North Pole by air in 1926. You and I can hop on a plane and fly to any part of this planet, provided that some of the passengers don’t carry box cutters and shout, “There is only one god Allah, and his prophet is Mohammed,” and ruin our flight by flying it into a skyscraper. Then Daniel speaks of "knowledge increasing.” Beginning with the telegraph, telephones, radio, televisions, computers, and now the internet, we can know virtually anything in a matter of seconds with a flick of our fingers if we have a modem, a computer, and an Internet Service Provider or ISP like America On-Line, Compuserve, Microsoft Network, or a host of other internet companies. Now, let’s take a look at some of the Signs of the End that Jesus Himself warned us to be on the lookout for......signs that He said would come to pass just before His Second Coming and the "end of the world" as we now know it: At the beginning of Matthew chapter 16 Jesus’ religious enemies challenged Him to show them a sign from heaven. He answered and said to them, "When it is evening you say, ’It will be fair weather, for the sky is red’; and in the morning, ‘It will be foul weather today, for the sky is red and threatening.’ Hypocrites! You know how to discern the face of the sky, but you cannot discern the signs of the times." Today modern technology has vastly improved our ability to forecast the weather, but are we any less blind to the ominous signs of times in which we’re now living? 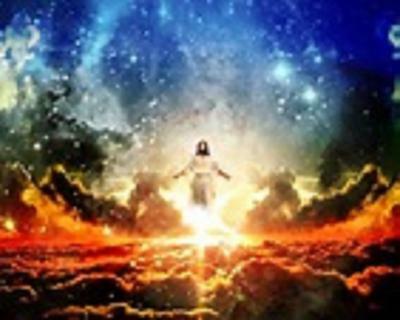 The foremost passage in the entire bible to determine the signs or hints that the Second Coming of Christ is imminent can be found in Matthew chapter 24, from the very words of Jesus Himself. In verse 3 it says, “As he sat on the Mount of Olives, the disciples came to him privately, saying, "Tell us, when will this be, and what will be the sign of your coming and of the close of the age?" Verse 5 gives us His first tip-off: “For many will come in my name, saying, I am the Christ,’ and they will lead many astray.” As the time of Christ’s return draws near there will be more and more individuals like the Rev. Sun Myung Moon of the Unification Church who actually claim to be Jesus Christ. In the Jewish World Review, just a few years ago, Rabbi Menachem Mendel Schneerson, the late leader of the Lubavitch movement based in New York City was believed by his followers to be the Messiah. The Lubavitch movement denies this. But a recent visit to the movement’s Crown Heights headquarters revealed a large banner in its main sanctuary proclaiming Rabbi Schneerson to be the Anointed One, that is, the Messiah, and children attending the movement’s educational institutions are encouraged to consider their late beloved leader the Messiah who will rise from the dead.